ALBUQUERQUE, N.M. — Albuquerque police are investigating allegations that members of the department improperly erased, altered or corrupted video footage taken by the lapel cameras worn by officers, top executives under Mayor Richard Berry say. City Attorney Jessica Hernandez and Police Chief Gorden Eden told city councilors late Monday that they will get in touch with federal prosecutors today and cooperate if necessary. But they're also starting their own investigation, they said. The allegations — outlined in an affidavit by APD's former records custodian, Reynaldo Chavez — shook City Hall as the Berry administration tries to build public confidence in the police department. A U.S. Department of Justice investigation in 2014 found that APD had a pattern of violating people's rights through the use of force. 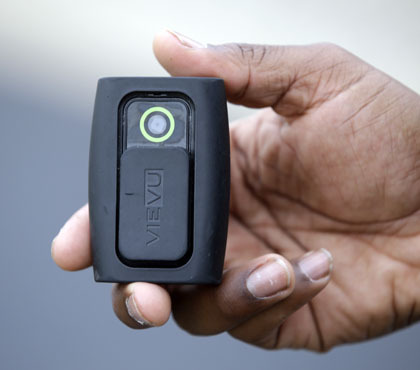 Hernandez and Eden assured councilors Monday that the original footage taken by officers' body-worn cameras is retained by their record-keeping system, even if someone tries to redact material. Eden said it takes time to blur someone's face in video for privacy reasons, a cumbersome process for the department. “We are not a television or movie production studio,” he said. Hernandez said the computer system tracks all changes to the video, creating an audit trail that can be checked afterward. “There has not been any evidence so far to substantiate these allegations,” she said, but the matter is still under investigation. The allegations surfaced Friday in an affidavit by Chavez, the former records custodian at APD. He was fired last year and is now suing the city. Video of police shootings, in some cases, showed signs of having been tampered with, he said. Albuquerque city councilors — both Democrats and Republicans — said an investigation is appropriate. Councilor Ken Sanchez said he was pleased that District Attorney Kari Brandenburg had already contacted the U.S. Attorney's Office. “Allegations of this magnitude must be scrutinized (and) investigated with nothing left unturned,” Sanchez said. In a written statement to the Journal, Berry spokeswoman Rhiannon Samuel raised questions about the credibility of Chavez. Samuel's written statement didn't go into detail about Chavez's previous affidavit.